The first thing I wondered when I saw Google’s bar code doodle this morning wasn’t, “I wonder what they’re celebrating the bar code for.” While that is a good question, the first thing I wanted to know was, “What’s going to happen if you scan that bar code? What does it say?” Well, fortunately for me, my friends at Den of Geek scanned it. Unsurprisingly, the bar code reads “Googleg.” Mystery solved! As it turns out, Google is celebrating the 57th anniversary of the invention of the bar code. 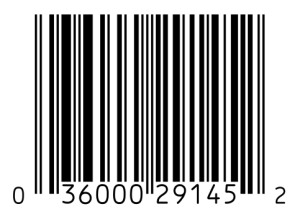 The patent for the bar code was granted to Norman Woodland and Bernard Silver on October 7, 1952. It was originally a patent for a bulls-eye pattern, rather than the familiar rectangle we all know and love. The first grocery store chain to test out the commercial application of the new invention was Kroger, which did a trial of the Universal Product Code in 1966. Now it’s on every product sold. If there was some way they could tattoo it on fruit, they would!